Who’s interested in trading the pound today? I hope you are, because these forex trade opportunities on GBP/USD and GBP/NZD are too good to miss! 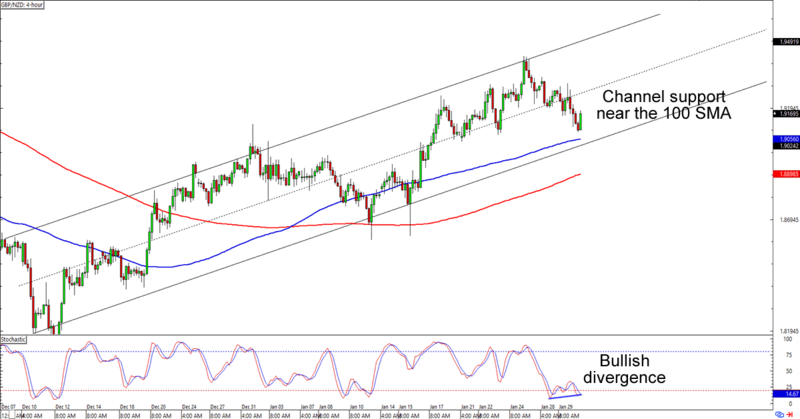 GBP/NZD looks like it’s bouncing from the 1.9100 levels, which isn’t surprising since it’s right above the ascending channel support AND the 100 SMA retest. What makes the setup more interesting is that the chart is also sporting a low key bullish divergence on the 4-hour time frame. Will the pound extend its uptrend for another day? A long trade at current levels would give you a good reward-to-risk ratio especially if you aim for the previous highs just below 1.9500. If you’re not sold on the pound’s continued strength, however, then you could also wait for the pair to trade below the support levels that we’ve spotted before you place your short orders. Just make sure y’all use wide stops, aight? Currency crosses – especially on higher time frames – tend to see more volatility than the major pairs, so widening your stops could catch you more pips than if you use tighter ones. I spy with my cool, blue eyes a potential break-and-retest situation! 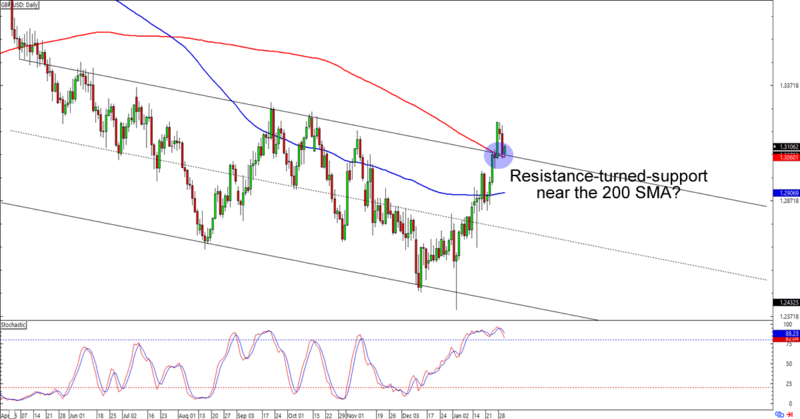 As you can see, Cable recently broke above a descending channel AND the 200 SMA on the daily chart. The pair has turned back down, however, and is currently trading around the 1.3100 psychological handle. Will the bulls defend the level and get enough momentum to support the upside breakout? Or will the bears drag it back down to its downtrend again? Watch this setup closely and see if you can make pips from a move in either direction!